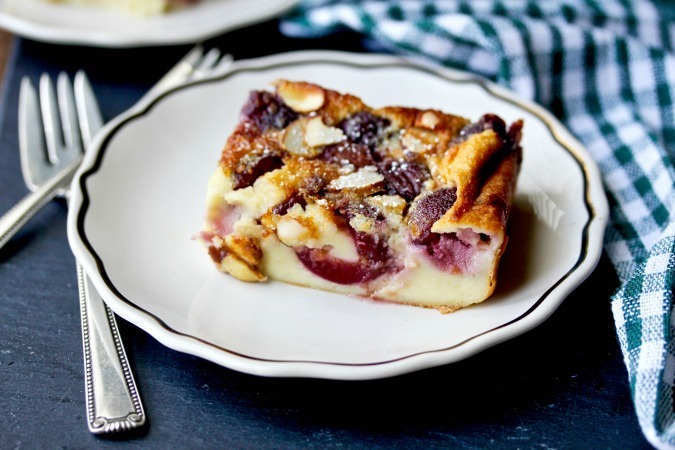 This Fresh Cherry Clafoutis with almonds is a tasty custardy dessert. Clafoutis (pronounced cla-foo-tee) is totally elegant, yet very easy to make. Cherry Clafoutis is a traditional French dessert. In fact, the traditional way it is baked is with un-pitted cherries. Evidently the thinking is that the cherry pits impart an almond flavor to the dessert. These Twix Candy Bar Brownies are a delicious combination of chewy chocolate brownies and your favorite caramel and cookie candy bar. 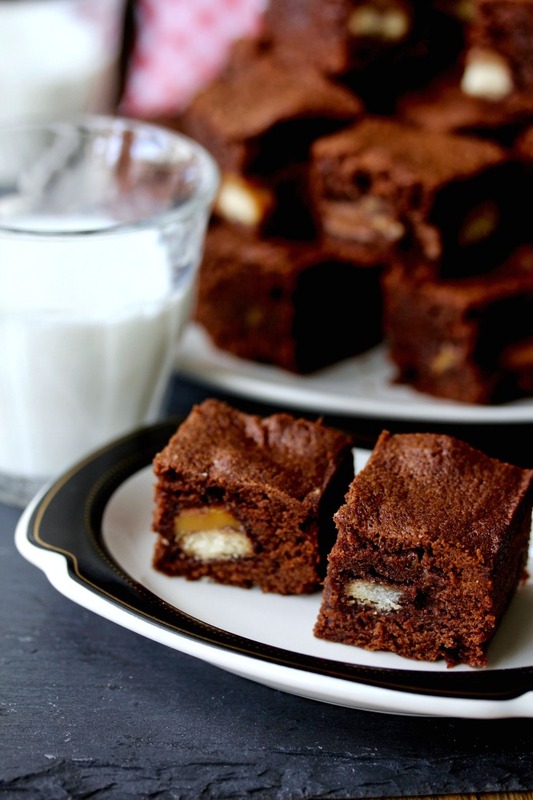 These Twix stuffed brownies are super chocolate-y. They are filled with Fun-Sized Twix bars, the cookie bar that is topped with caramel and chocolate. These E.T. 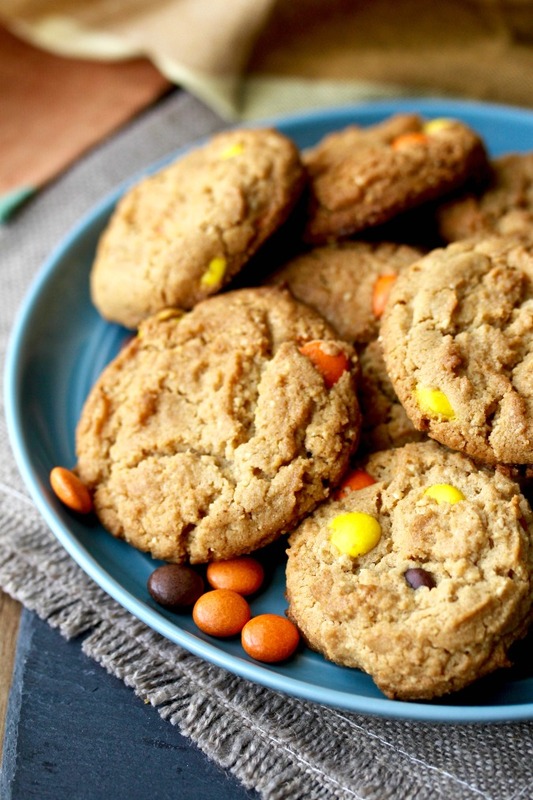 Cookies are loaded with peanut butter, honey roasted peanuts, and Reese's Pieces. They are so peanut-y! You grind the honey roasted peanuts in these E.T. Cookies to create a delicious peanut flour, which just intensifies the salty-sweet peanut flavor. This spinach with rice and carrots is so nutritious, and it's such an easy and simple weekday side dish. 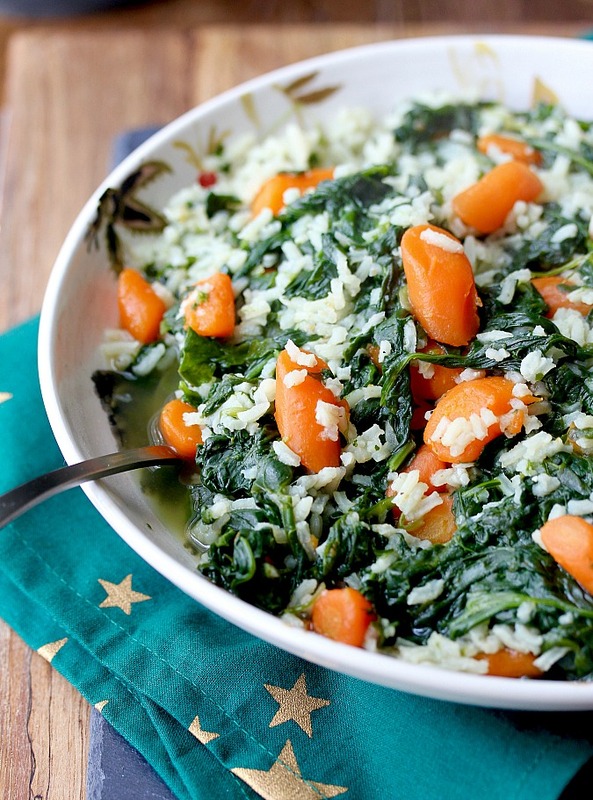 The recipe for this spinach with rice and carrots illustrates how three large bunches of fresh spinach wilts down during the cooking process into a side dish for four. The broth in this Quick Beef Pho, or Phở Bò Nhanh, is rich and beefy even though it does not involve simmering beef bones for hours. 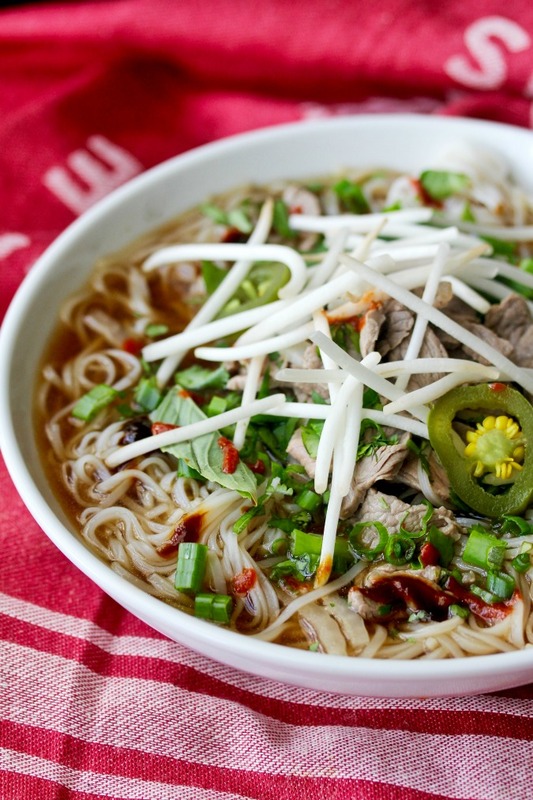 Pho is one of Vietnam's signature dishes. According to Andrea Nguyen, the author of The Pho Cookbook: Easy to Adventurous Recipes for Vietnam's Favorite Soup and Noodles, pho is a fairly new dish, "birthed" at the beginning of the twentieth century near Hanoi in the north. 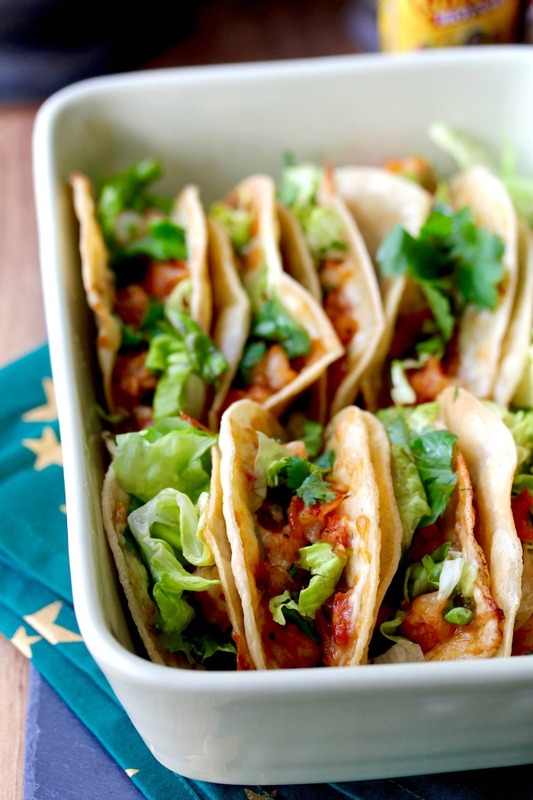 These crispy shrimp snack shack tacos are what happens when tacos and quesadillas get married. You prepare these crispy shrimp tacos differently than most tacos, especially when it comes to the cheese. 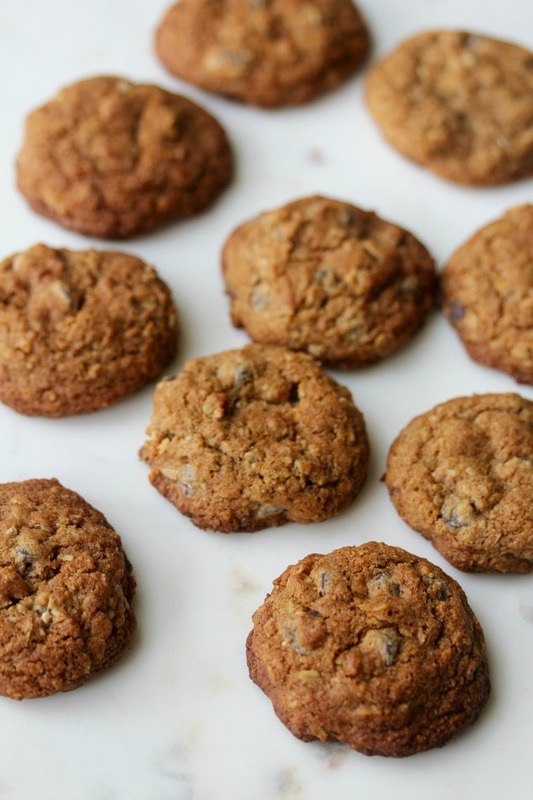 The recipe for these Oatmeal Chocolate Chip and Coconut Whole Grain Cookies comes from my (eons ago) days as a young mother trying to add some nutrition to sweet treats. These oatmeal chocolate chip and coconut whole grain cookies are made with 100% whole grains, unsweetened coconut, and walnuts. 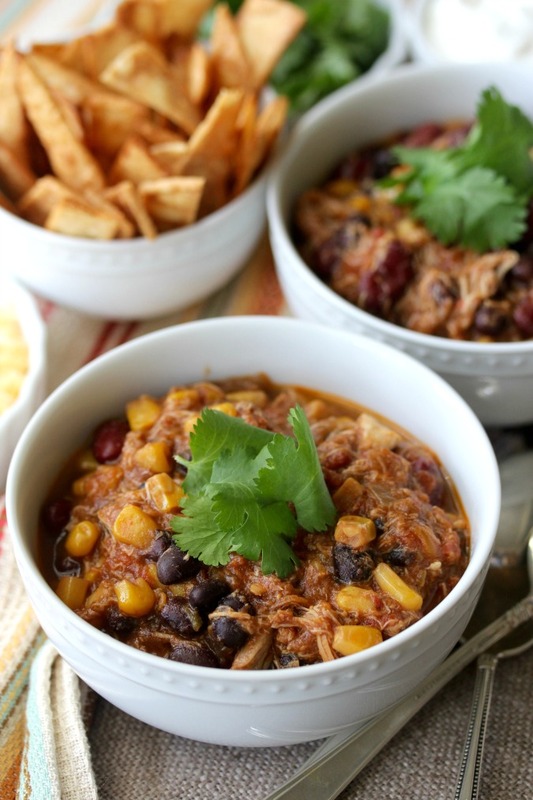 Making this Slow Cooker Chicken Taco Chili is such an easy way to feed a crowd a super tasty meal. I served these with a homemade tortilla strips garnish. I'm usually not a big fan of "dump and run" slow cooker recipes, but this chicken taco chili is the exception. It probably helps that the ingredient list includes two cans of tomatoes with chiles (I used Ro-Tel) along with another can of diced jalapeño chiles. This Tartine-style sourdough rosemary polenta bread has a thick crispy crust and a super flavorful crumb. It's loaded with polenta, rosemary, and pumpkin seeds. While I've made a sourdough polenta bread before, this one has much higher percentage of the polenta. This Tartine-style sourdough rosemary polenta bread recipe takes the original 75 percent hydration Tartine bread and tosses in a big helping of prepared polenta, along with fresh rosemary and toasted pumpkin seeds. This Neapolitan Cheesecake starts with a chocolate brownie crust, a layer of vanilla cheesecake, and a layer of strawberry whipped cream... and it's topped off with a glorious coating of chocolate ganache. 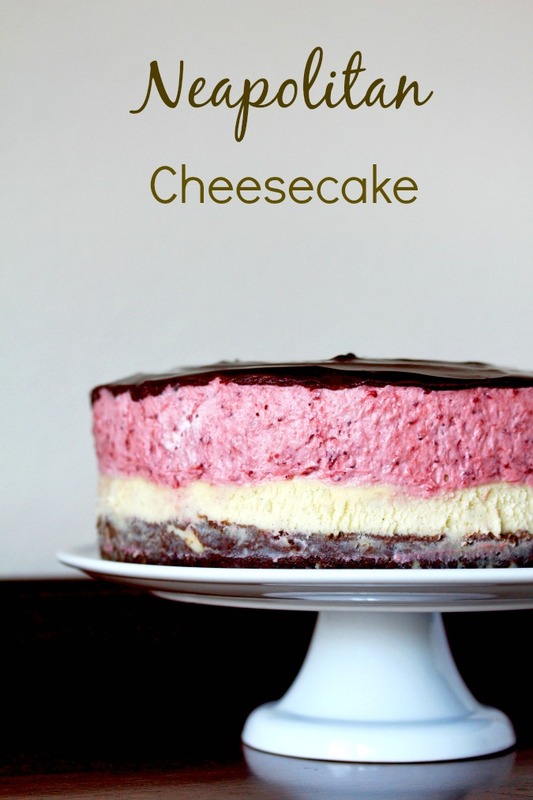 This Neapolitan cheesecake reminds me of my childhood. The only dessert my dad ever really wanted was ice cream, and his two favorite flavors were rocky road and neapolitan, which we all called "pink, brown, and white." Neapolitan ice cream had a permanent space in our family freezer. Gougères are a crispy, cheesy, custardy, and airy French appetizer, often served with kir or a glass of champagne at a cocktail party, before dinner, or at a fête pâtissier. 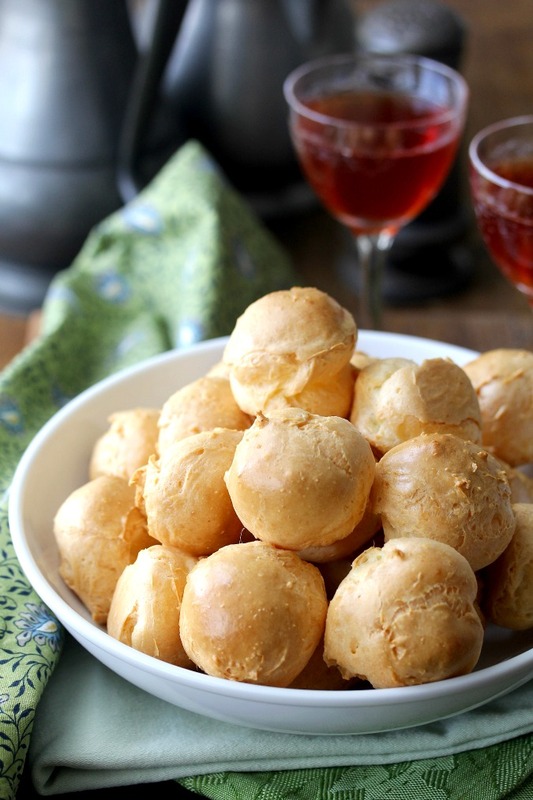 Gougères are a cheesy appetizer made with a choux pastry, which is a mixture of water, butter, flour, and eggs. 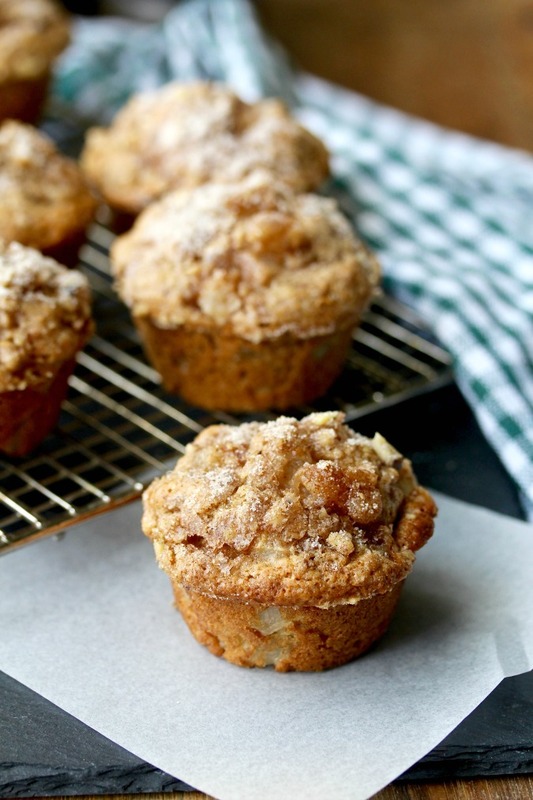 They are crispy on the outside and airy on the inside... and so good! 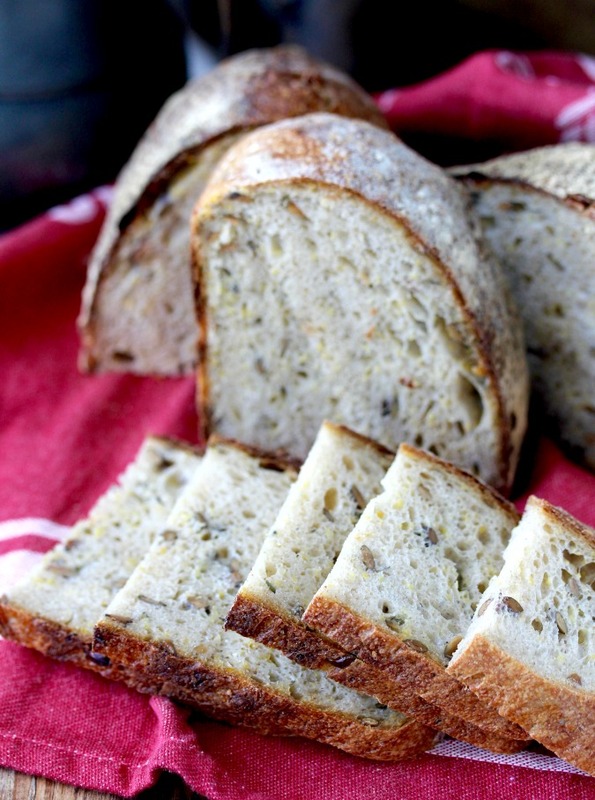 This ground flaxseed bread captures the nutty flavor of flaxseeds in a light and airy sandwich bread. 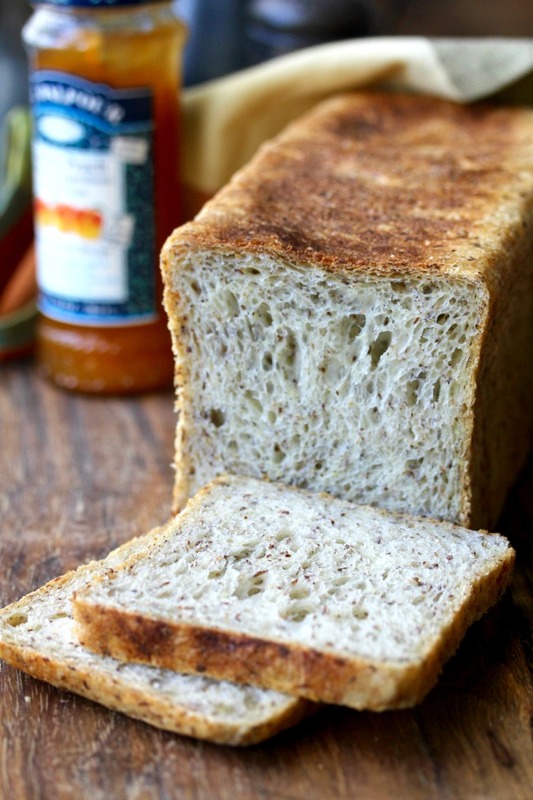 This flax bread includes about 1/4 cup of milled flaxseeds, as well as a little bit of wheat bran. 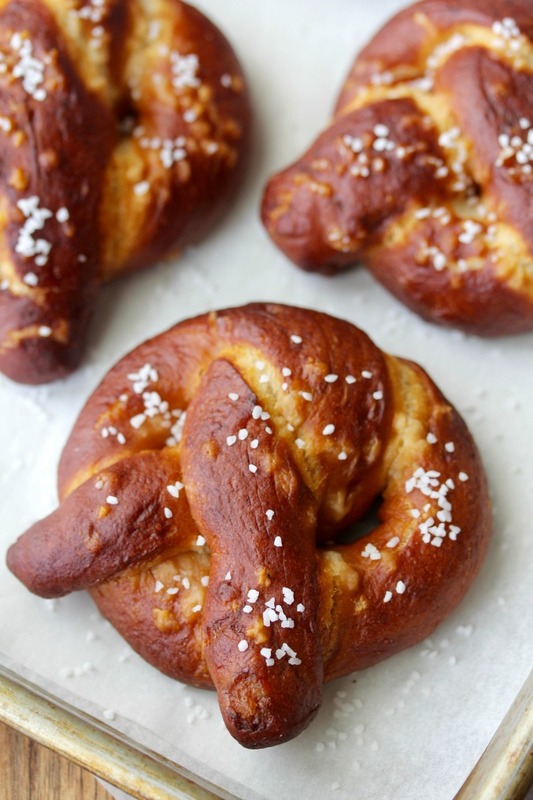 The flavor of this bread is exceptional, and the texture is light and airy. This Oatmeal Blueberry Bread is one of my new favorite breakfast breads. 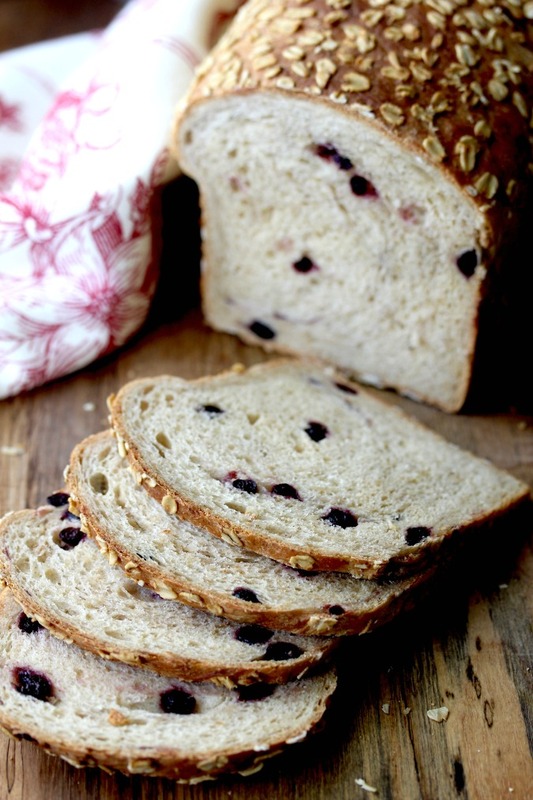 This oatmeal blueberry bread is also my new favorite bread that incorporates oatmeal. I know I probably say this about every new bread I make, so take my hyperbole with a grain of salt. This Pimentón Potted Shrimp reminds me of pâté or rillettes. It's very rich, and is so delicious spread on crackers or crostini. 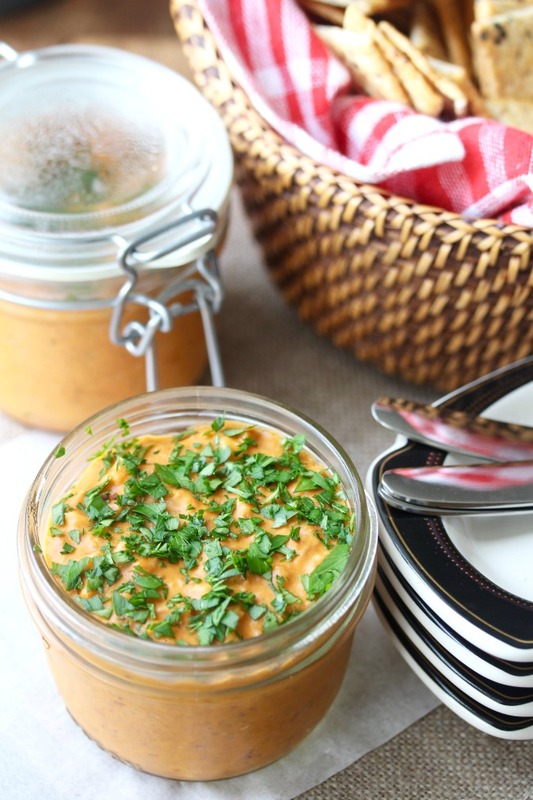 This pimentón potted shrimp is really nice to have on hand for cocktail parties, big game days, and any other occasion where you need something to satisfy hungry guests. I have here for you over 45 bread recipes from 2017. 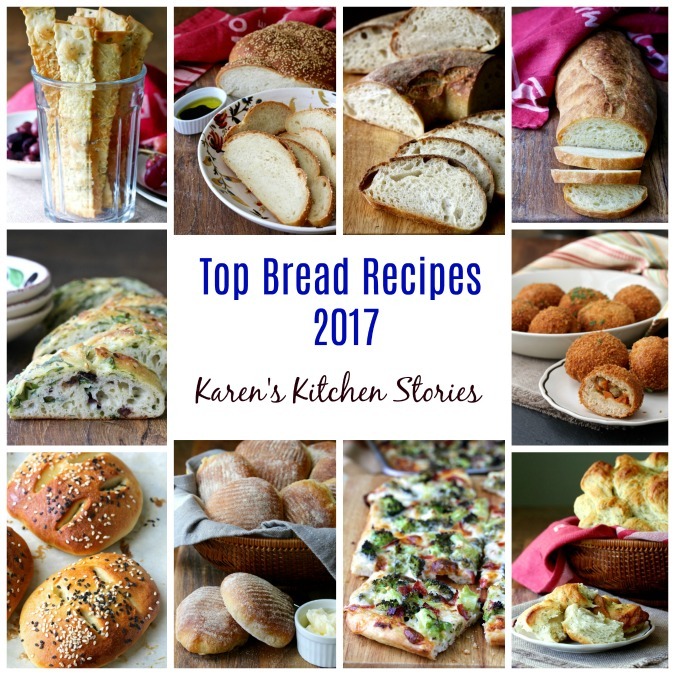 Usually, at the beginning of each New Year, I'll post my top ten favorite bread recipes for the year. This year, I decided to assemble all of my bakes for the year in a single post, kind of like a virtual bread cookbook. I hope you like it!